RESOGUN™ is an intense fast-paced shoot em' up developed exclusively for the PS4™ system. The last humans need a hero! Take the battle to Avernus and blast your way through two new game modes in the Heroes expansion for the critically acclaimed shoot ’em up RESOGUN. Take on wave after wave of relentless enemies and survive the day and night in Survival Mode and use the all new wrecking balls to cause maximum destruction in Demolition Mode. Set your best score in new and improved leaderboards, and stake your claim on new trophies. Get the RESOGUN Season Pass today and download the Heroes expansion now. The Season Pass will also give you access to future add-ons once they’re released. Take on wave after wave of relentless enemies in Survival Mode, and cause maximum destruction in Demolition Mode. Future add-ons will provide. . .
And you’ll also be getting your hands on some extra bonuses, like the full original sound track! 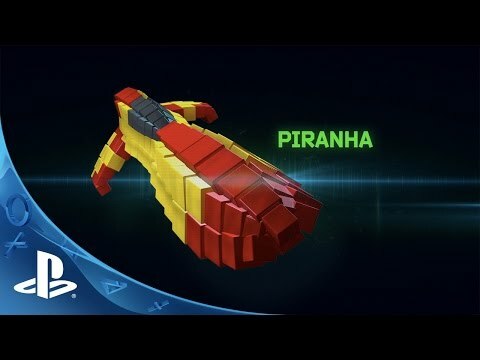 From Housemarque OY, the creators of the Super Stardust™ series & Dead Nation™ comes RESOGUN™, the next generation of shoot ‘em up, developed exclusively for the PlayStation®4 system. Unleash a diverse array of devastating weapons including lasers, missiles, overdrive, and nova-bombs to blast hordes of enemies and rescue the last survivors from distant galactic colonies that are under ruthless attack from an evil alien invasion force. Massive destruction! Destroy hordes of enemies in worlds created from millions of individual building blocks (voxels) that break up in real time as you battle to survive as the world is destroyed around you. Push yourself to the limits in Arcade and level based Score Attack modes and prove your skills in global leaderboards for each game mode and difficulty setting. Join forces with your friends online and show off your skills and take down huge bosses in action packed co-op multiplayer. Welcome to RESOGUN™... an intensive, ultra-responsive, fully HD, 60FPS shoot ‘em up, only on PlayStation®4 system! ©2013 Sony Computer Entertainment Europe. Resogun is a trademark of Sony Computer Entertainment America LLC.